The limited edition Christmas prints on our fizzies are perfect for stocking stuffers or to keep around the house for your kids or grandkids. The four scents featured are 100% Natural Peppermint, Spiced Cranberry, Bayberry and our 100% Natural Citrus Splash. Our assorted jar contains all seven scents. Our Fruity Jar contains Black Raspberry Vanilla, Spiced Cranberry and Citrus. 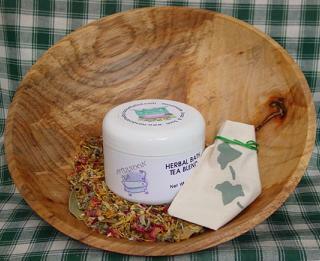 Our All Natural jar contains Lavender, Eucalyptus Mint Spa Blend and Citrus Splash--all scented with essential Oils. These will require a box to ship so your shipping will be higher than the email receipt you will receive right after ordering. The actual shipping charged will be on the receipt in the box. 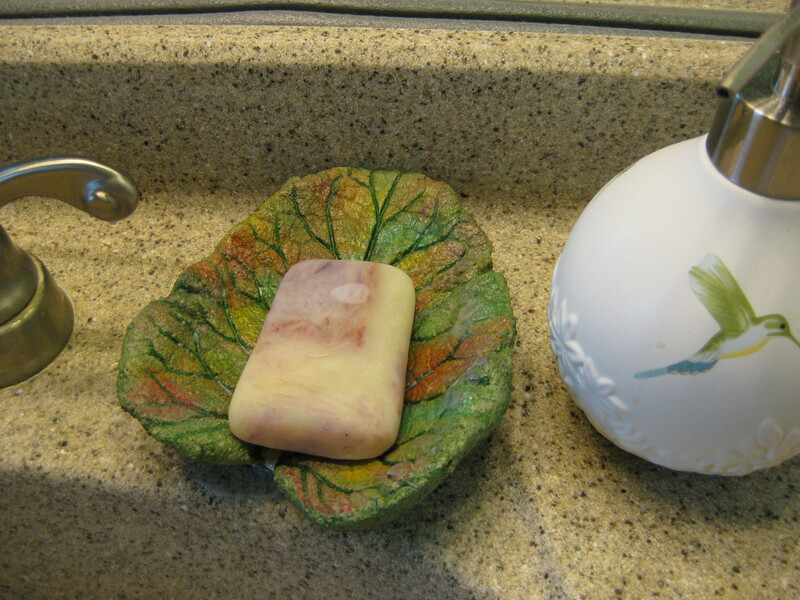 Jerry Lee, a friend who makes birdbaths, also makes these gorgeous leaf soap dishes. His gorgeous design is suitable for large vanities or sinks with a slight bevel--so one end of the soapdish sits higher than the other end. My Mom has been using one for the last several weeks and it works great at keeping the bars high and dry. How? 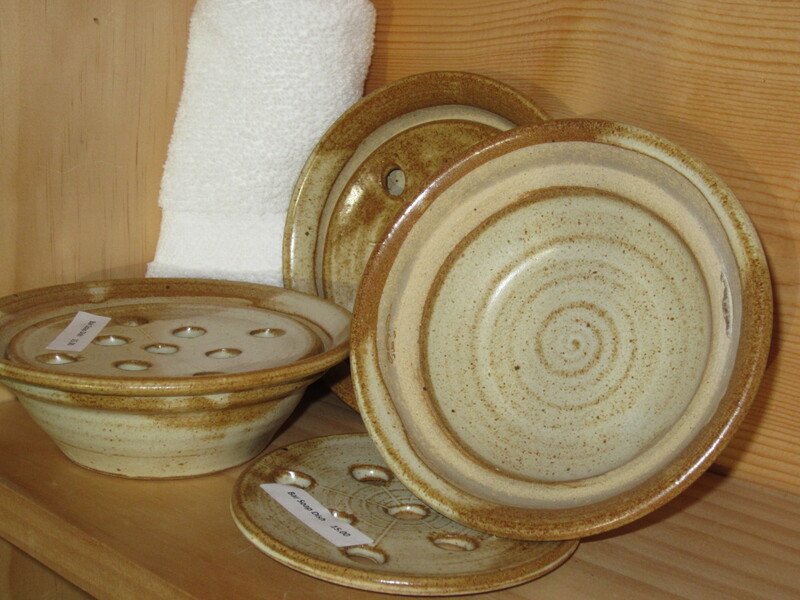 The soap dishes are made using real leaves as a pattern. The veins in the leaf channel the water down to the stem area where it can run out of the soap dish. It cleans up easy by running it under hot water--use a toothbrush if you encounter thicker parts that don’t come off. Neat, huh! Shapes and colors vary...tell me what you are looking for and I will try to help find one that is right! 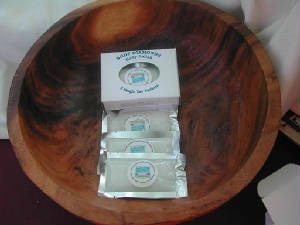 Now, don't be fooled by the simplicity of these nifty little skin clarifying and brightening soap bags. There are two different textures, a simple loop closure and plenty of room for a full size bar or lots of slivers. The proof that they work is in how your skin will look after using them for a couple days. I could not believe how bright and shiny my legs were--and I don't typically use any lotion unless it is winter time. I used to make clear smoking bottles when I first started crafting. But now I have found a supplier where I can get these beautifully colored bottles with the holes already drilled. Believe me, they cost a lot less than when I did them! 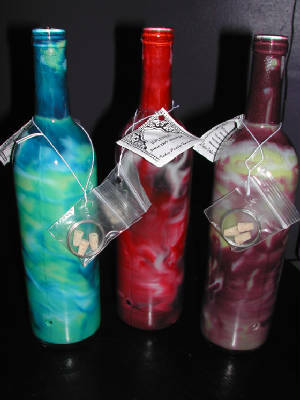 Add any three 10 packs of incense above to a smoking bottle for one low price! Sorry, they are all gone but I will get more! Remember to order 3 packs of incense above too--I will remove the cost of that incense when I run your payment manually!!! 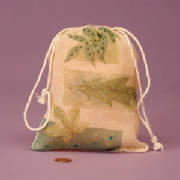 These elegant beaded bags are always a big hit at craft shows! The giftbag is perfect for your discerning friends--it has our three most popular soaps in full sized bars. 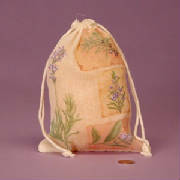 The Lavender Oatmeal facial soap, the Oatmeal Milk and Honey soap and the Sea Salt Soap with our Spa Blend are all inside the bag. You'll also find an insert detailing why each is so special. Only one left!! We know many of our customers are quite "crafty" in their own respect, so we have some great ideas to round out the gift baskets and bags you create for your friends and family. How about a bath salt, milk bath or a sample-sized soap to tuck into a shower or housewarming gift or even to place in your spare bedroom for those special guests? The products below are packaged in smaller "servings" just right for gift baskets. 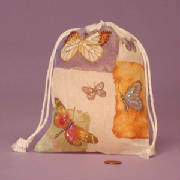 We've also included some special giftbags too! 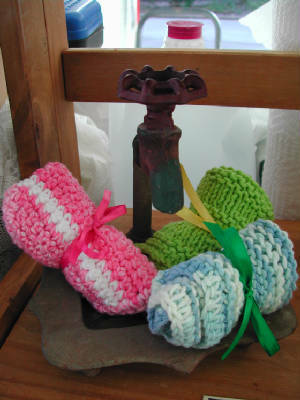 We found a nice gal up in Illinois who whips up these great hand knitted and crocheted soap washclothes. My selection will vary depending on what sells, so, if you have your heart set up a certain color or style, it would be best to email me before you order. Most washclothes measure approximately 8 inches square but some are round or slightly rectangular. 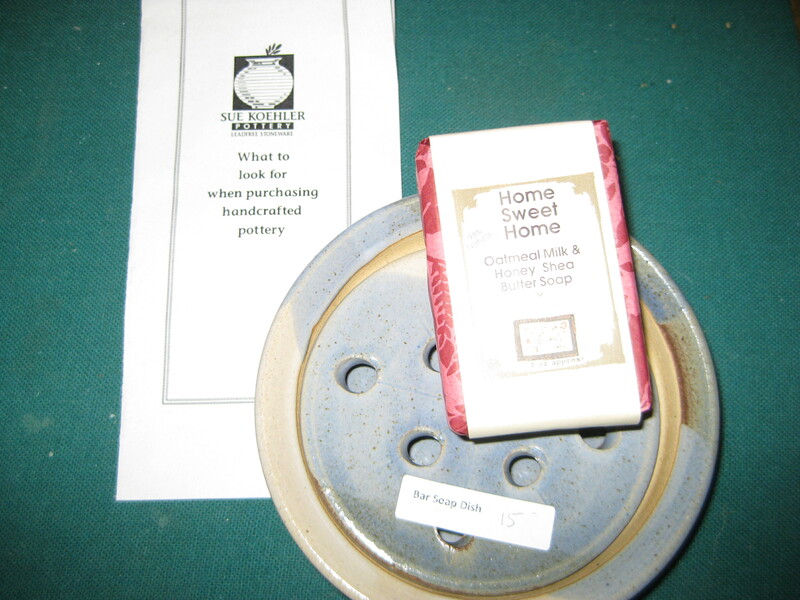 In 2011 we started making our corridale and angora wool felted soaps! Not familiar with felting? 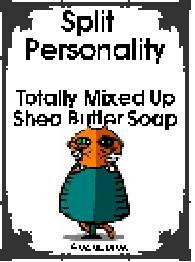 Think of one of my great Shea Butter Soaps encased in it's own washcloth. This soap will give you great exfoliating and the soap will be easier to grip. The scent is called "Season's Scent" and it reminds me of everything that is great about the Holiday season. The wool fibers dry from the inside first, so, they dry out each day--and the wool is naturally anti-fungal, anti-microbial and anti-bacterial. And when the soap is gone, you have a neat little wool case that can be reused--I would put a little slit in it and then use it as a soap saver for all your tiny soap slivers! Psst--I saw these at a department store at the mall for $14 last week. Have a color preference? Leave a note in the comments area of the shopping cart. ONLY A FEW LEFT! A conditioning shampoo for dry hair...but you can use it for soap too! I vary the scent each batch--so the scent pictured is an example only--and we may substitute the current scent if we are out of what is listed below. Please let us know if you do not want a substitute in the comments area. Contains the following oils: Olive Oil, Coconut, Castor, Jojoba, Shea Butter and I use beer for part of the water. Now with additional aloe vera! The current bars are a little softer in texture...but oh so nice! 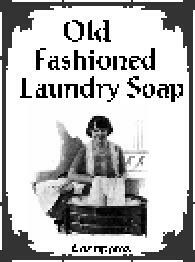 Our 100% Lard Laundry Soap is a great way to make homemade laundry detergent. Your soap will be shredded and weighed out to exactly 4 ounces to make the recipe below. If you order other soaps as part of our 3 for $12 deal, you must request the bar to be shredded and there will be a $1 charge added to your order total. Please note: this is an animal based soap. Combine all ingredients and shake often. It will take several days for the soap to dissolve. It will have a gloppy appearance and not all the shreds maybe totally dissolved. This is natural. Use up to one cup per extra large load and shake before pouring the detergent. If you have hard water, fill a Downey Fabric Softener Ball with vinegar and add to each load. Jackie's Note: This recipe works on all but my husband's white work shirts--I occassionally have to resort to Tide to get out the ring around the collar. In another lifetime, I may have been a potter, but until I actually am in real-life, I have found a source for basic lamp rings and pot diffusers. I do not make these. The lamp ring can work on a variety of lamp styles...check out the pictures below to see a couple different ways I put them on some of my lamps. I had these clay lamp rings years ago and they were great until I tried to dust the lamp and the ring crashed onto my terazzo floors. Bummer! You should be able to secure it around the lamp harp to keep it from falling. 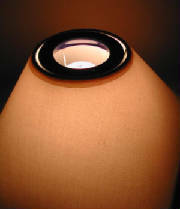 Once you turn on the lamp, the scent will be diffused throughout your room. 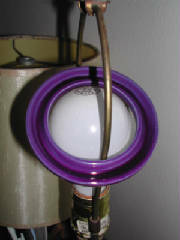 Don't use these on a bulb higher than 80 watts. Wash hands after using and don't set the lamp ring on a synthetic, delicate, painted or stained surface between uses. The diffuser pots work in cars, on lamps, in a closet--anyplace you can tie it on. Fill no more than 1/4 full--just enough to coat the surface, secure the cork and then shake to saturate all the interior surfaces of the pot. Make sure the pot does not hang up against a wall or other surface. Wash hands after using and don't set the diffuser pot on a synthetic, delicate, painted or stained surface between uses. A carrier oil is usually a vegetable oil used to dilute fragrance oils and essential oils before they are applied to the skin. They are so named because they carry the scent onto the skin. Carrier oils do not contain a concentrated aroma (only the scent of the oil if any), unlike essential oils, nor do they evaporate like them. There are a range of different carrier oils each with their own individual properties and suitability to different uses you may have. True carrier oils are generally cold-pressed vegetable oils taken. I currently only offer Apricot Kernel, but, I will be adding others down the road. Our sea salt body scrub is actually a Body Polish called Body Diamonds for a reason. It isn't one of those over-priced department store scrubs. It isn't one of those too oily scrubs that you need to soap up again in the shower to get rid of the extra oil. This one is perfect. It smooths, moisturizes and softens your skin in the shower so you won't have to put lotion onlater. It brightens your skin by removing those old dead cells that are giving you a dull complexion. We recommend using this no more than once a week anywhere on your body that you usually put lotion on or anywhere that needs extra smoothing. It is also great for home manicures and pedicures! Large bags available in our Spa Blend and single serve boxes in either an assortment (Spa Blend and Rosemary Tangerine) or just the Spa Blend scent. Specify one or the other in the comments area if you have a preference, please. Are you looking for a luxury bath...one where you definitely pull out all the stops and make it an event? Maybe you are looking for a gift for someone who needs some time to relax?? Then this may just be the "bath" product for you. Our milk bath is a moisturizing soak that will leave your skin soft and conditioned. Use the bath bag to keep the part of the mix that won't dissolve from going down the drain or from sticking to you or the tub! Try a 2 oz. single serving of our "Eucalyptus Bath Sand" Bath Sea Salts. Great for a foot bath too! Packaged in a plastic bag with a hangable header. Or, need something a little fancier? Your choice! A 2 oz. single bath portion of our luxurious Oatmeal Milk and Honey Milk Bath is all that special person will need for a long, memorable soak in the tub. 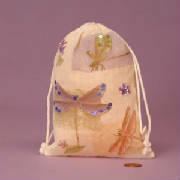 We have two choices of packaging--a plain hangable plastic bag or a basic cloth bag to dress it up a bit! Monday July 21 at 9 a.m.
Monday July 21 at 6 p.m.
Tuesday July 22 at 9 a.m.
Tuesday July 22 at 6 p.m.
Wednesday July 23 at 9 a.m.
Wednesday July 23 at 6 p.m.
Thursday July 24 at 9 a.m.
Thursday July 24 at 6 p.m.
Friday July 25 at 9 a.m.
Friday July 25 at 6 p.m. Select Class Day and Time	Monday July 21 at 9 a.m. Monday July 21 at 6 p.m. Tuesday July 22 at 9 a.m. Tuesday July 22 at 6 p.m. Wednesday July 23 at 9 a.m. Wednesday July 23 at 6 p.m. Thursday July 24 at 9 a.m. Thursday July 24 at 6 p.m. Friday July 25 at 9 a.m. Friday July 25 at 6 p.m.
Tub Truffles are another luxury bath item. DO NOT confuse these for food, they smell good enough to eat, but, throw one in the tub instead! They are a moisturizing bath treat that will melt in hot water and provide you with moisture and soft skin. The four packs include one of each scent--Chocolate Butter Cookie, Blueberry Muffin, Coconut Orange and Blackberry Lemon. 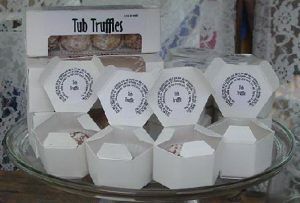 Individual Truffles are also available. 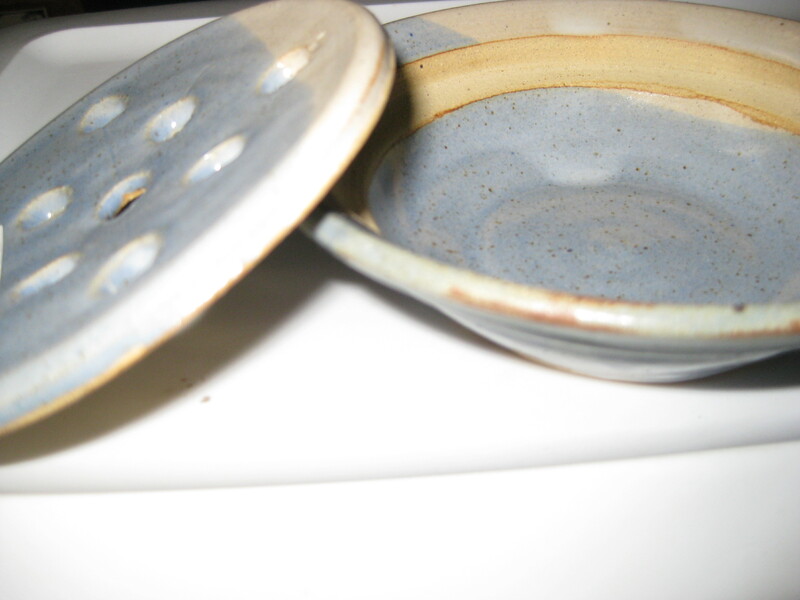 We have incense supplies in stock and ready for fast buys. to a minimum, just email me first, ok?! Starter Kit includes 500 blank sticks, 5oz. of DPG and 100 bags for $10.00 plus shipping. Instructions "ala Jackie" will be emailed to you upon payment. You MUST signup for the Yahoo Group above using "Special Notice" to be kept informed of the co-op's status. Please do this to cut down on the number of individual "where are we?" emails. I communicate often to let you know where we are. I will also offer 20 sheets for $20 including Priority Mail shipping and insurance and delivery confirmation. Please pick check payment if at all possible. Payment by cash, check and money order is preferred. All monies will be deposited once the minimum is sold and as received thereafter. I will need to have a paper check mailed to me within 3 days of you placing an order--I do not do the electronic check processing. If your check bounces, you are responsible for any fees I incur. Payment must be received within one week of your order confirmation if paying by these means. Please do not sign up if you cannot meet these terms. Paypal and Credit card payments will not be processed until minimum is met. The next co-op is expected to start in Fall 2006--this page has not been updated with current pricing info as of March 1st. If you are signed up for the Yahoo Group you will be informed when we start taking orders. The co-op will close when we reach 5,000 labels. If minimum is not met within 3 weeks, the co-op will be canceled. Shipping begins 2-3 weeks after we reach the minimum--to be determined when we receive the final payment :) and when the vendor ships the product. While we have made every effort to identify all costs, if circumstances beyond our control occur, additional charges may be passed onto you and will be due before your labels can be shipped. Once again, please disregard shipping charges shown in our shopping cart for label orders. or rubbed off. The next test was to soak the labels in EO/FOs. vaseline and again they all weathered it well. NOTE: as of 4/23/03 I still have the original bottle which I continue to "abuse" and it still is holding up quite well! delaminate from the adhesive. Like a beer label, you can scratch it off the container if you are working at it! small scuff mark--again this is the high use area on the bottle. instead, I will coordinate the buy on these too! "bright" of the labels...it is a matte finish label. 104150 This high gloss label showed the least wear of the lot but the cost is prohibitive. point that it affects the label's readability. Results are above--working from top to bottom. "Please test these samples thoroughly. Because many factors can affect the use and performance of a RippedSheets.com product in a particular application, and because those factors are uniquely within the user's knowledge and control, user is responsible for determining whether the Rippedsheets.com product is fit for user's particular puropose and suitable for user's method of application." If you need a sample, please contact me and I will provide a sample label for you to test the product before you commit to the purchase. The vendor also suggests storing the labels paper side down with a 15 pound weight on top! 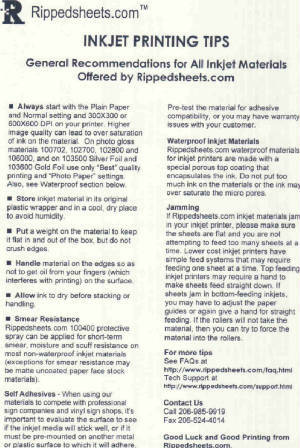 The following information sheet was sent by RippedSheets with the samples. Please read it completely! 4. FAQ--Frequently asked but very important questions!! a. How do the labels work when cut? b. How come I can't get the backing paper to peel off? c. Why aren't they sticking to my HDPE bottles? d. Why are these so expensive? e. My labels have browned/yellowed, why? I had a chance to work with a full sheet of labels today and was so pleased to see that they worked great with my basic Office Depot Fiskars Paper Cutter. Very smooth, similiar I guess to cutting card stock. No gumminess was noted on the blade. Then I tried my Creative Memories Circle Cutter and again was pleased that it worked without a hitch (other than making half the first cut without the benefit of the cutting pad...now I have a half circle "scratch" in the table). Probably the best news was that I had no trouble peeling the label off the backing paper with either type cut. These are going to be wonderful labels! I've gotten a couple of direct inquiries from your group on this matter. The situation is that the printable facestock and the liner are both 50# paper - so they are both paper and both the same thickness. My recommendation to the three who've contacted me directly is to use an Xacto blade (or something like it) to separate the two at the corner. Those who've tried it report back that it works fine and has made their lives easier. I like the Xacto blades because they have a very sharp point and because the bevelled part of the blade is deeper than most box knives. Thought I'd update you about the label usage....remember I thought they were not peel off....I have discovered that: after cutting them out, take an xacto knife and lightly cut the backside straight across the whole label. You have to be careful and not cut too deep. This makes a nice perferation to seperate from. Thanks for all your hard work! I will probably be ordering more this summer. I have never heard that the 104200 doesn't stick to HDPE. That's a new one. I've got an HDPE bottle here that I can test it on. One suggeston would be to make the label big enough so that it wraps over itself (an overlap.) But I'll test it here to see what happens. Please keep in mind that the adhesive on this label will bond to the substrate in about 24 hours. I'll let you know then how my test turns out. I just removed the 104200 labels that I had applied to my HDPE bottle and I must say that they were stuck REALLY well. In fact, the label tore rather than coming off in one piece because the adhesive was so well bonded. Maybe your customer is just trying to take the labels off too soon. Or maybe she really has a LDPE bottle. LDPE is squishy and nothing much sticks to it very well. I'm using a natural HDPE bottle for foamy pump cleanser, as found at Chandler's Soap, and a white HDPE Malibu tube for cleansing gels. A shrink wrap sleeve is applied over the label, which holds it in place. Well, simply because they are waterproof! 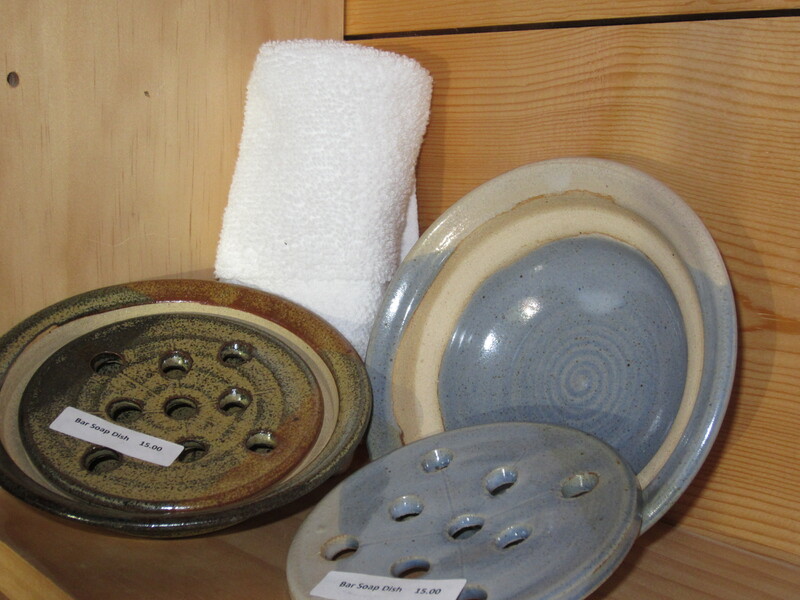 And, oil- proof, which makes them great for our bath and shower products. They will save you time because they don't have to be coated with clear tape or sprayed with a clear coat. These labels retail from Rippedsheets.com for $37.50 for 10 sheets, or $140 for 100 sheets to $545.00 for 500 sheets. (Our costs including shipping from the vendor is $0.42 a sheet.) Also, have you ever bought the packs of 100 full sheet labels from Office Depot? Those will run you about $33 per 100 sheets and they are not waterproof! So all in all, the price is extremely affordable for such a great product. f. My labels browned or yellowed, why? I'm having the problem in all applications .... lotion bars, creams, lotions, body sprays, etc. They're turning brown, over time. I store my stock in my basement, I don't know if that has anything to do with it ...... I'm getting a bit frustrated, if I'm going to have to seal these with tape, there's no reason to pay for the expensive labels :( I've loved them up until now but I don't know what to do to avoid it. We have found that the colloidal silica (waterproof) coating reacts to sulphur in the air when there's more sulphur than usual. We've found this with the 104000 Waterproof Vinyl, but never heard of it with the 104200. I can only assume that it's the same problem. Her furnace is probably in her basement so that's the source of the sulpher in the air. Tell her to store her products somewhere else, or in a sealed plastic container or bag. This is pretty rare, but over the last 6 years I've probably heard this complaint maybe 5 or 6 times. It's an environmental thing! Some inkjet labels and sheets may yellow when exposed to Sulphur compounds. Many candle and aromatherapy scents contain Sulfides or other Sulphur compounds. Also, some people actually cook their products on Sulphur-containing gas or oil stoves, e.g. diesel stoves. Read the ingredient labels to identify which compounds have Sulphur. Bag up the unused labels or sheets and store them away from the scent mixing area, production area and packaging area. Print labels or sheets in a ventilated area away from all of the above areas. Apply labels or use sheets after all products have been packaged and cleaned. $20 per 20 sheets. Includes shipping, insurance and delivery confirmation to US addresses. Note: your receipt will show shipping--please disregard it! March 2006 Co-op prices have not been updated yet! If you order now, your cost may be slightly higher. $50 per 100 sheets. Includes shipping, insurance and delivery confirmation to US addresses. Note: your receipt will show shipping--please disregard it! March 2006 Co-op prices have not been updated...your costs may be slightly higher if ordering now! My Bath Teas come packaged in a couple of ways. may dole out the amount you like for multiple baths. and get the right amount for you. 4 7/8 in. x 1 5/8 in. x 1 5/8 in. and will be $4.20 per 10 boxes. This size fits 4 melts that are made using the Michaels/Wilton candy molds that are a little smaller than a quarter. The individual melt size is a hexagon shape and measures 1 15/16 x 1 15/16 x 1 3/8 and will be $3.10 per 10 boxes. The correct shipping charges are not yet determined, so if paying by Paypal or check, please select check payment and then indicate in the comments section of your how you will pay. I will send you a payment request for the correct amount. If paying by credit card, you will be charged for the actual shipping charges. A $1 handling charge will be accessed for each order. 20 packs for $16 including shipping, insurance and delivery confirmation). 10 available.